SAN DIEGO – Beckhoff Automation further strengthened the company’s sales and application engineering presence on the West Coast by opening a new San Diego-area sales office in Carlsbad, Calif. The 2,000-square-foot office provides sales and application support for Beckhoff customers in Greater San Diego, which is a thriving hub of technological innovation with high activity in IT, biotech, aerospace and maritime technology. With a large training room, the office will provide numerous educational opportunities for Beckhoff customers to increase their expertise with PC-based controls and EtherCAT industrial Ethernet technology. 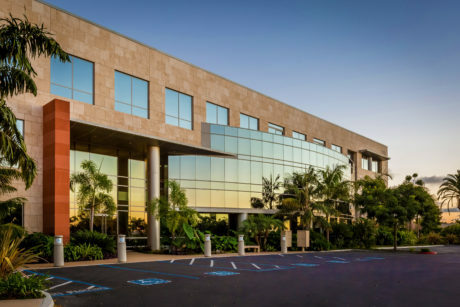 Located off Interstate 5, halfway between the San Diego and Santa Ana airports and near regional train depots, the office is strategically positioned to maximize access for customers across the region. The Carlsbad office is part of a larger expansion of Beckhoff facilities across North America, with several new openings planned in or near Los Angeles, Houston, Denver, Milwaukee, Boston, Philadelphia and Orlando, Fla., as well as Mexico City. All of these new Beckhoff offices are expected to open in 2019 and 2020. Along with its U.S. headquarters in Savage, Minn. (Minneapolis area), Beckhoff maintains regional offices in Mechanicsburg, Penn. ; Charlotte, N.C.; Mason, Ohio (Cincinnati area); Woodridge, Ill. (Chicago area); Mill Creek, Wash. (Seattle area); and Plano, Texas (Dallas area). Beckhoff Automation also operates its Canadian headquarters in Mississauga, Ontario (Toronto area) and a regional office in Laval, Quebec (Montreal area).